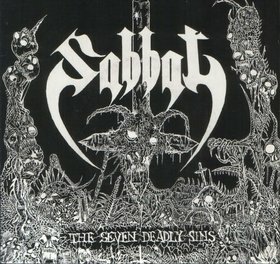 Released through Evil Records in June 1990, The Seven Deadly Sins was the final Sabbat E.P. before their debut full-length, Envenom. 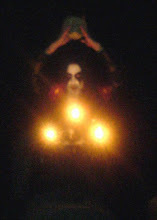 After developing their sound for over five years, the band had reached a level of intensity and darkness that was beyond what most were doing, around this time. In fact, most of the evil bands of the '80s had gone soft, commercial or just jumped on whatever worthless trend that they could. At this point, too few were creating music that was vicious, dark and still possessed by an overwhelming Metal feeling. Most of the bands that were part of the First Wave were but a shadow of their former selves, and the Second Wave of Black Metal was still a couple years away from being ignited. 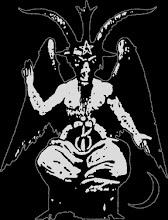 It was during this forgotten period that bands such as Samael, Treblinka and Sabbat were keeping the black flame burning in obscurity. Musically, The Seven Deadly Sins can be split in two parts. "Possessed The Room (Kanashibari)" represents the more old school sound, with the Venom / Mercyful Fate influences being rather easy to pick out. The galloping riffs and more laid back pace allows for more of an atmosphere to be developed. This is the most memorable song on here and probably more significant regarding the band's development. "Sacrifice of Angel" and "Crying in Last" are both comprised of mostly thrash riffs that move along at a faster speed; however, they sacrifice some atmosphere for intensity. Oddly, the vocals are harsh during the latter two tracks, yet reminiscent of Nuclear Assault, for the opener, which is rather unexpected. The production is still gritty and underground, though pretty clear when compared to recordings like Born By Evil Blood or Desecrate. The Seven Deadly Sins may not possess the brilliance of The Devil's Sperm Is Cold, but it represented yet another solid step toward the sound that would define Sabbat's first couple of full-length efforts. Consequently, this is not as essential, but still very much worth hearing. Pick this up, if given the chance.